Your satisfaction as a customer is our number one priority. And that’s why we will send the most specialized appliance technician in Delta to your place as soon as you call us for assistance. It’s our pride to employ the best techs in the repair industry. We are all updated, friendly, qualified, and committed. With our experience and certifications, any home appliance repair is done correctly the first time. So turn to our Appliance Repair in Delta whenever you need professional techs and expert services. Why trust our appliance technician in Delta? 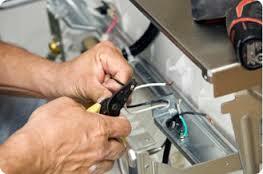 Every appliance service technician in our company has the qualifications to take care of any unit. Whether you want oven repair or fridge service, you can trust that the job is done right. We are certified, licensed, and extensively trained. As appliances get smarter and more advanced over the years, we keep honing our skills to be able to cope with issues related to all models. Apart from having skills, our appliance technicians are also friendly and extensively respectful when they come to your home. We are prompt when you need urgently a specialized kitchen appliance technician or the washer is leaking. No matter what your problem is, we rush to your aid. We are also committed to completing each job in one visit and that’s why we come fully equipped for appliances repair service. Not only will we repair your problematic laundry and kitchen appliances, but will also maintain them. Our pros offer new appliances installation as well. Rely on our appliances repair technician to fix and install gas and electric units regardless of their type, model, and brand. 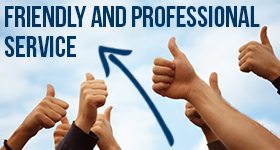 As a professional company, we guarantee quality work and prompt assistance. Each one of our techs in Delta, British Columbia, has the skills required to do the job correctly. And that’s what makes a difference to our services. Our Delta appliance technician will always do a great job and respond fast when you need service. Rely on that and call us to service your appliances.